With the huge air traffic, having a situation of flight cancellation is pretty normal. The ultimate toll of booking another flight is always carried by the flying passengers and not getting the compensation back for the cancelled flight is not an easy thing for many. 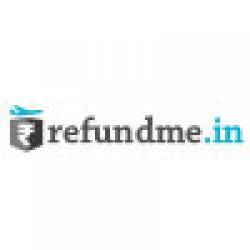 refundme.in is India's premier flight compensation platform that helps flyers avail that cancelled flight's compensation in a quick span. All you have to do is -read the eligibility criteria and the compensation terms to stand eligible for getting the sum that you almost lost.